Beautiful white wedding dress with a bouquet of white roses at the waist. A layer of tulle attaches .. 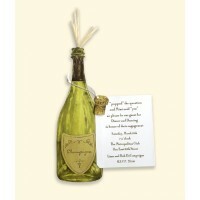 Perfect for any family, friend or business celebrations, this multi-piece die-cut invitation feature.. 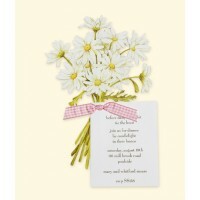 This is a multi-layered invitation, which features a bouquet of daisies, a single daisy and a white .. 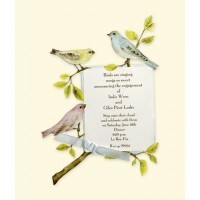 This eloquent die-cut features birds in pastel colors and comes with a white card that ties wi.. 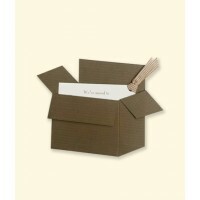 Inform all your friends and family of your recent move with this flat die-cut brown box. Die-cut fol.. 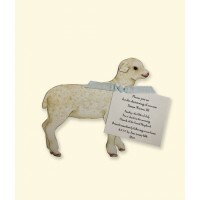 This multi-piece card features a die-cut white lamb with blue, cream or pink satin ribbon. A tiny be..
A leopard shoe is a signal for 'cocktail time'. This die-cut high-heel in leopard pattern comes with..
Anchor's aweigh! 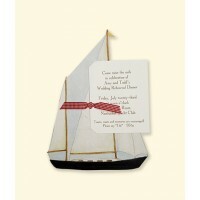 This die-cut sail boat carries your event details on the attached white card. Card ..
Like what you see? Contact us for original, quality die-cut invitations & announcements. As celebration specialists, we help you celebrate everything! We provide retailers with original, quality die-cut invitations & announcements. 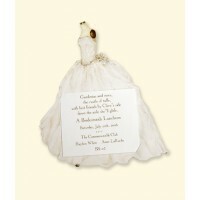 We also carry matching gift tags, and, flat, folding, place cards and other stationery.